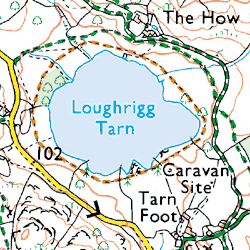 Loughrigg Tarn us a favoured place for many people. It is a stunning place for a short walk with spectacular view to Loughrigg Fell and the Langdale Pikes. The tarn appears in the film Miss Potter several times, including the first shot of the Lake District. 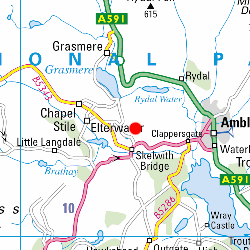 The nearby campsite is a great overnight location within a couple of minutes of the tarn.